We are committed to providing the very best quality when it comes to eye examinations and dedicate sufficient time to all patients to ensure the very best in eye care. Our thorough eye examinations provide an accurate assessment of your vision. 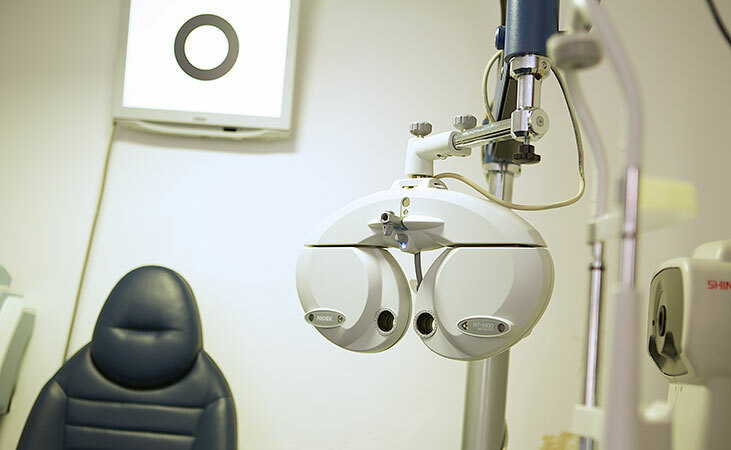 We use the latest technology to establish the state of your vision and the health of your eyes. Examining the eye not only reveals eye problems but systemic illnesses too, such as diabetes and cardiovascular disease. Increasingly the health of the eye forms a large part of our eye examination. We strive to ensure our practice is warm and welcoming and that patients truly feel part of our Williams team. We will personally tailor our service to ensure that your individual needs will be catered for.